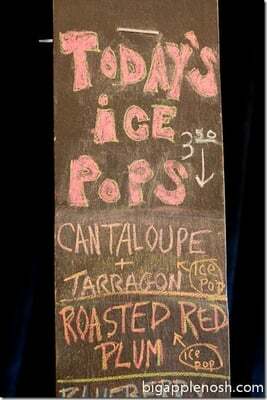 …but the cantaloupe and tarragon pop was calling my name. 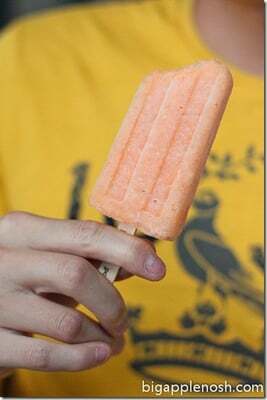 The cantaloupe pop was sweet and juicy, with tiny chunks of cantaloupe embedded in the pop body and just the tiniest hint of tarragon. The ice pop was a little too sweet for my taste; however, my eating buddy gobbled it up – so it’s a matter of personal preference. Super sweet pops in refreshing flavors. Wow, those look yummy! I don't like overly-sweet things, either, but my fiance loves going into sugar-shock. Totally a matter of personal preference! I think I missed these. I haven't been to the Flea very much this summer. I'll have to check them out while it's still warm. this brooklyn flea sounds like the place to be for lots of yummy goodies! Mmmmmm, I had the shave ice at their Highline Cart, Sour Cherry, and it was divine! 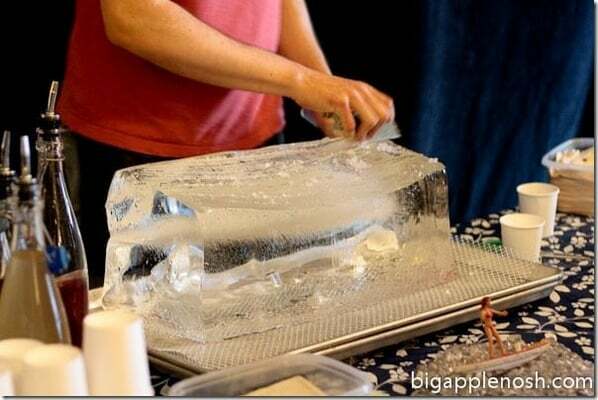 Now I wanna try the ice pops too!